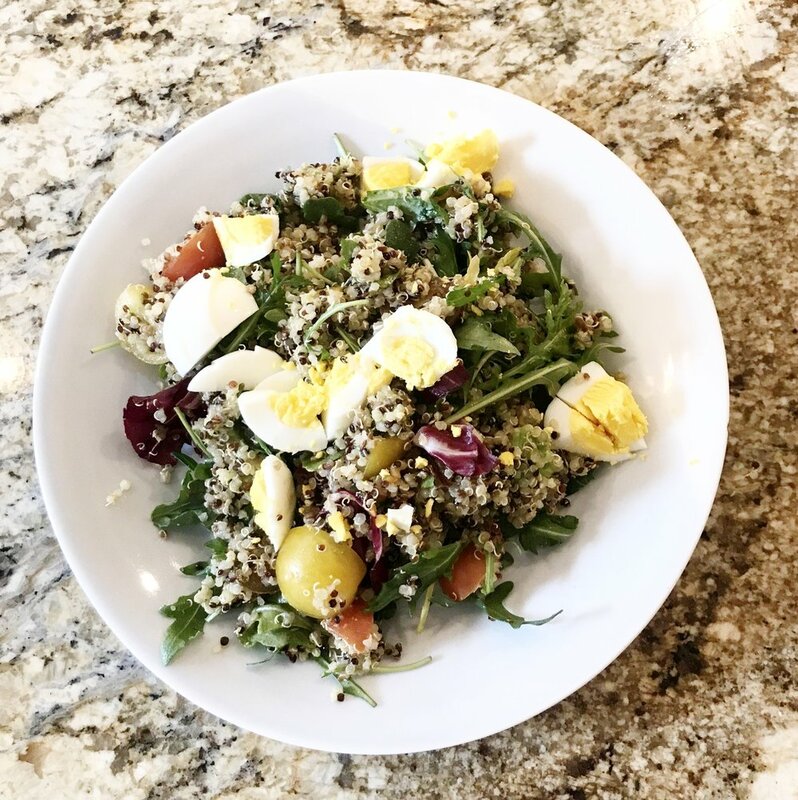 1) Quinoa - If you make a larger batch at the beginning of the week you can use it in salads, soups or as a side for any meal. It makes for a great protein source if you are a vegetarian. 2) Oats - Oatmeal is my favorite breakfast staple and is the only thing I've found that can hold me over until lunch. Make overnight oats in the fridge or crockpot to have breakfast all ready for to go in the morning. 3) Eggs - Great for breakfast, lunch or a light dinner. Hard-boil a few at a time so you have a them on hand to eat as a snack or to use as a protein on salads or sandwiches. 4) Lentils and/or Chickpeas - These legumes can be added to salads, roasted for a crunchy snack or blended with #5 to make hummus. 5) Tahini - Made from ground sesame seeds, Tahini is packed full of nutrients and makes for a great salad dressing or sauce for a stir-fry. Try blending it with chickpeas, olive oil and lemon juice for a quick hummus. 6) Pre-washed package of leafy greens - Let's face it. Sometimes we just can't be bothered to wash, dry and chop our vegetables. Keeping a bag or 2 of pre-washed and chopped leafy greens in your fridge makes it significantly more likely for you to throw a quick salad together. 7) Cherry tomatoes - Full of antioxidants, cherry tomatoes are also very versatile. Scramble them in your eggs, add them to your salad, stir fry them with your frozen veggies or just eat them raw. 8) Avocados - packed with healthy fats and fiber, avocados are another versatile item that goes with pretty much anything from salads and sandwiches, to dips and sauces.